So make sure to tune in between 8 PM – 9 PM for our MasterChef recap. While you wait for our recap make sure to check out all our Masterchef spoilers, news, videos, pics & more, right here! 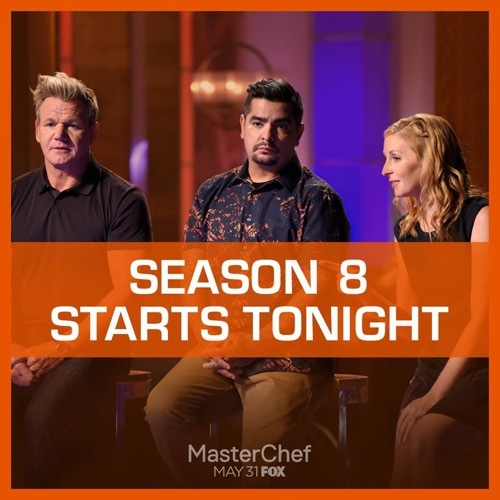 MasterChef Season 8 begins with announcing the judges Chef Gordon Ramsay, Chef Christina Tosi and Chef Aaron Sanchez. First up for an apron is Yachecia, a minister and Shawn, a pastor. She jokes that Shawn is going home in Jesus’ name. Chef Ramsay says they will be making the almighty fried chicken, but they will have to break down the chicken perfectly, just as Ramsay shows them. Tonight they have 30 minutes to turn the whole chicken into a batch of MasterChef worthy dish. Shawn says he lived in Hawaii for 2 years and is making Hawaiian-style chicken, using lard instead of oil. Yachecia grew up in Detroit and says its all in the seasoning, she seasoned the breading, the oil and the buttermilk. Christina says with the lard he will need to put the chicken in the oven where using oil makes it cook more evenly. Chef Ramsay tells Yachecia it looks beautiful as he cuts it open. He says it tastes great but with the spices he isn’t sure he could get through the second piece. Aaron says the chicken is juicy and very consistent, but the batter needed more pizzazz. Chef Ramsay opens Shawn’s box and asks why he added so many spices in the chicken and he says God and Gordon are his inspirations. The chicken is cooked beautifully but isn’t very pretty to look at. Christina says it is tasty and messy but the one weak point was not all pieces were coated as well as the other. Christina gives the apron to Yachecia saying cooking slower and longer was what gave her the edge. Jason, a high school music teacher and Ty, a model are up next fighting for the white apron. Chef Ramsay tells them they will be making a dish using scallops, the jewel of the sea. They have 30 minutes to make a fully composed dish that screams them. Jason is making three Asian styles of scallops and says since he is a music teacher he likes to make a symphony on a plate. Ty says the first time he had scallops was in New York City and it changed his life. He is making it with a citrus salad. Chef Ramsay approaches Jason’s trio of sea scallops, who questions if he put too much on one plate, saying he isn’t writing music he is cooking food. 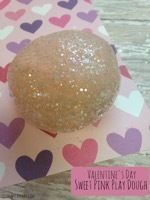 He says it is delicious and the last scallop was mind-blowing flavor and has given him a lot to think about. Aaron agrees that the last scallop was genius and the other two were not necessary. Chef Ramsay comes to Ty’s side and has pan-seared scallops with citrus-pomegranate salad and smoky aioli. They are cooked beautifully, he nailed the scallops but a lot of heat in the salad and he wants to see more from him. Christina likes the citrus salad, looks at Jason’s dish feeling he may have gone too far and he may have played it too safe. Christina picks up the apron and hands it to Jason and the crowd cheers for him. Chef Ramsay, as each group of home cooks enters the MasterCHef kitchen shows them how to perfect their dishes; insisting they watch their expert culinary techniques. Caitlin, Paige, Jen, Sam, Necco and Mark receive aprons quickly. The next 4 home cooks fighting for 2 aprons. Julia, a food truck promoter, Adam, a Harvard student, Gabriel who is only 19 is a fast-food server, and David who is 50 and a wedding singer. They enter the MasterChef kitchen where Chef Aaron says they will be making specialty of his from food trucks and Michelin Star restaurants around the world: the taco. They have 30 minutes to make the most memorable taco of their culinary lives. Aaron approaches Adam who made spot prawn with yuzu aioli, red cabbage and salmon roe. The tortilla was the worst part of the dish, he thought the addition of the salmon roe was excellent. Christina learns Davids dish is Caribbean fish taco, coleslaw, bell peppers, avocado and scallions. She says being from the Caribbean she expected big, bold and bright flavors and felt he didn’t bring that. Chef Ramsay tastes Julia’s crispy duck taco with dragon fruit, serrano pepper and crema; tells her its like eating raw dough and the duck needed to be shredded which is nearly impossible to be done. He liked the fruit and seasoning, the potential is there but definitely not a show-stopper. Chef Aaron greets Gabriel who made a sweet and spicy taco with blackened tilapia, Avocado crema and mango-peach salsa. He loves it and when he learns he is only 19, he says he gives him hope that what Aaron does will be carried on by the next generation. The judges deliberate but Aaron says there is one amateur cook who is far beyond the other 3 and calls Gabriel to take an apron and he cries, Aaron tells him to put the apron on and keep his head up. Chef Ramsay comes forward and says one of them has the flair and skill to get the final apron and he hands it to Adam. The final duo for tonight is Paola, who is a dentist who is competing against stay-at-home mom, Reba. They reach the front of the kitchen where Chef Ramsay informs them they will be making a dish with the most sought after protein in the world: duck! He shows them how to render the fat from the duck breast, make it crispy and to make it spot on like a true master chef. Christina gives them 30 minutes to make the perfect dish. They bring their dishes up and Chef Ramsay tells them well done but there is only one spot open. Christina tells Paola’s seared duck breast with farro, spring peas, heriloom carrots and pearl onions dish is gorgeous at face value. The duck has beautiful color and juicy but says it was a bit under done. Ramsay say the duck needed 3 or 4 minutes in the pan as there was still too much fat; he said presentation was great but didn’t taste as good as it looked. Chef Ramsay approaches Reba who explains her dish as pan-seared duck with brussel sprouts; fresh taters and wild mushroom sauce. Gordon Ramsay had no idea what “taters” were. He says the duck is slicing like butter and is beautiful, tastes delicious but the mash potatoes are a bit lumpy. He says if he closes his eyes it tastes great but it looks a mess. Aaron says the duck was fantastic, there are plating issues and technical flaws but it was a pleasant bite. After discussing the dishes, Chef Ramsay says they are both good enough to go through but rules are rules so only one can go through. He said it is going to the one who he thinks can mature across the competition and become a true masterchef. He handed the apron to Reba who rushes out and greeted by cheers from the crowd. Chef Ramsay says if this is an indication of what they are going to have in their top 20, they are in for a season and a half.